With 2017 upon us, it’s time to begin considering the must-have upgrades for your truck for the new year. Whether you’ve been eyeing our new Bed Rails, or a Rear Rack, it’s time to seriously consider the best new look for your ride. To help you get started, we’ve outlined 5 must-have accessories for your truck for 2017. Our Bed Rails were custom designed to specifically work with your front Magnum Rack. Better yet? They require absolutely no drilling to install and come complete with everything you need to get them on your truck. The interior Glide Track works with sliding D-Rings (optional) to secure your cargo and keep your load safe. • Available standard with a matte black powder coated finish or in mill finish at no extra charge. 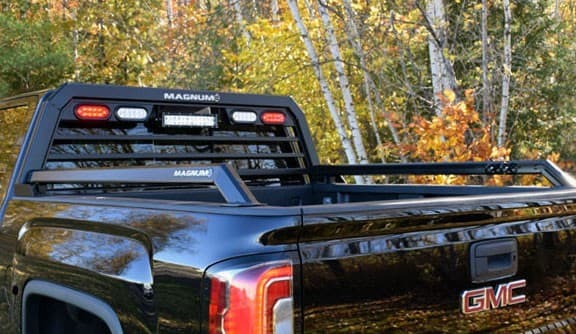 • Note: Magnum Bed Rails are compatible with all Magnum Front Racks but are not compatible with the Rear Rack option. Have you seen our 72″ Front Rack Extension Tube? It’s easily mounted on top of your Magnum headache rack, allowing for loads up to 72″ wide. Fully compatible with our Glide Track system on the top and rear face of your back rack, it allows for an easy install of cargo stops, D-Rings and our full range of accessories. Looking to add some serious light to your truck? 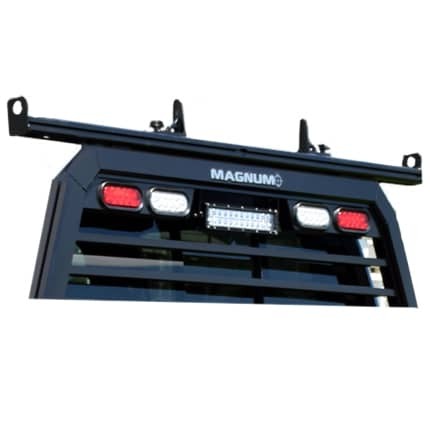 We have you covered with the Magnum 50” LED Double Row Light Bar. 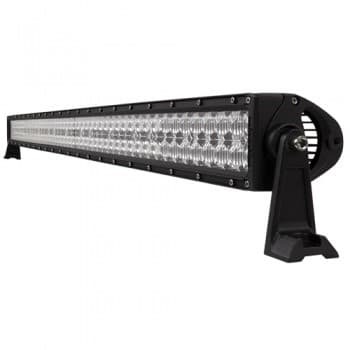 With 100 3-watt high-performance LED lights, this heavy-duty light bar provides 20,000 raw and 13,489 effective lumens while drawing a meager 17.6 amps from your system. • High-impact polycarbonate lenses resist yellowing. • Meets the IP-67 dust and water immersion rating. Please note, the mounting hardware and mounting feet are included in this easy install LED light bar, with wiring the purchaser’s responsibility. When you need an easy solution to install your lighted headache rack, our 10′ Modular Plug-N-Play Wire Harness is designed for an easy install. The 10’ wire harness runs under the truck bed, connecting to your 7-way trailer light connector. This means you don’t lose the use of your 7-way plug. The great news? The Plug-N-Play design virtually eliminates the need for any wiring knowledge, giving you a simple solution to power the LED lights on your back rack, whether it’s reverse lights, brake lights or turn signal blinkers. We have you covered with this product! Hate worrying about whether or not your cargo is secure when you’re on the go? We do too, which is why we created this product. When you need to quickly get your cargo in place securely, you need tools that will help you get the job done without fail. Our Sliding Cargo Stops are designed specifically for the Glide Track system you’ll find on our truck racks. • Designed for easy install on the top and sides of each rack, they’re manufactured from durable aluminum and are anchored using steel square head bolts and oversize plastic wing nuts for easy attachment. 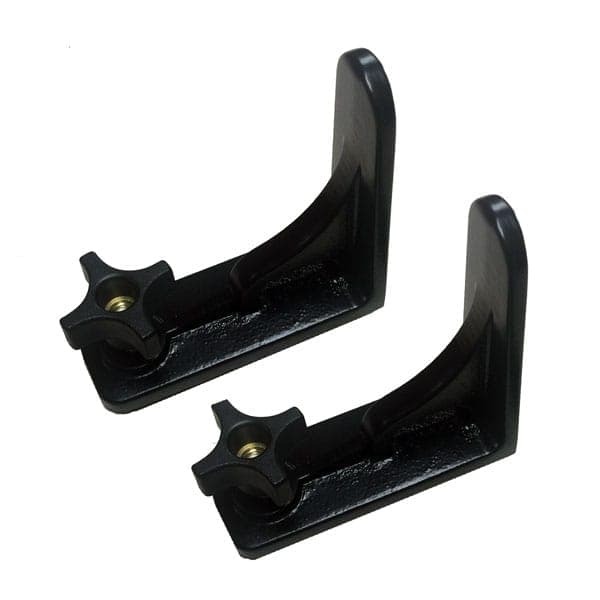 • They’re designed to slide quickly along the rack and tighten down all cargo. • Available in a set of two. The best part about every one of these awesome truck accessories? They all ship 100% free to anywhere in the contiguous United States. Looking for more product info?